AKG BioFuelTech is a professional Wood Pellet Presses Manufacturer in China, we provide kinds of high quality Pellet Presses, which can make pellet from corn stalk, wood branch, saw dust, rice husk, wheat bran and so on. If you are interested in our pellet press, you could visit our official website. by Pellet Presses - November 22nd, 2011. 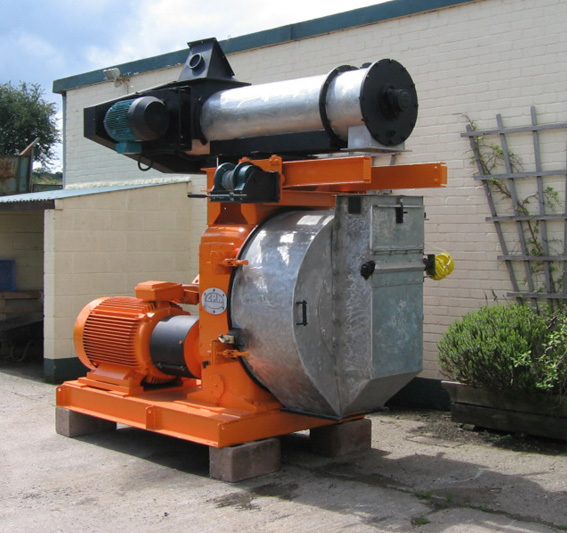 We are faced with a huge evolution noticed in the biomass energy saving industry and this has made it possible thanks to different manufacturers entering the market to have different types of pellet presses that are available for those that want to buy them. Specialists believe that the entire industry is going to keep on growing and this is the best time to enter the market as a producer. Pellet presses are also known as pellet mills and the reason why they are so popular is the fact that they can process animal feedstuff while also changing waste materials into wood pellets. In the beginning we saw smallerpresses that were only used in order to create feedstuff. Nowadays this is no longer true due to the fact that we can also use other types of waste materials like straws and sawdust. Due to this, people can basically improve the presses with the addition of many new parts that make them more popular. The most recent development of the pellet presses has made it possible to create high quality wood pellets. These are great when burned and used as green fuel. You are going to be able to use them in boilers and pellet stoves to gain heat, just as you would use wood. The only difference is that the pellets are compact and contain less moisture. This will allow them to offer more heat while costing less and actually being waste products that have been recycled. This equipment are a part of the pellet production line and stand out as the most important machines that are used in the production of pellets of any kind. Finding where to buy top quality pellet mill online? If you are on a budget, learn where to buy cheap pellet mill at AKG biofuel.